Sometimes I forget how strange the Bible is until I’m reading it with someone who’s not familiar with it. Even for those of us who are familiar, many portions can be difficult to understand. Lois Tverberg—cofounder of the En-Gedi Resource Center, an educational ministry with a goal of deepening Christian understanding of the Bible in its context—sets out to guide readers into the strange world of the Bible in her new book, Reading the Bible with Rabbi Jesus: How a Jewish Perspective Can Transform Your Understanding. According to Tverberg, the Bible’s ideas—like pita bread—are “often best appreciated ‘freshly served’ in their original Middle Eastern setting. This is what this book . . . is all about—helping you mentally transport yourself back in place and time to read the Bible afresh, as one of Jesus’s first-century disciples” (9–10). In part 1, Tverberg highlights key differences between our modern Western worldview and the Bible’s. Modern people in North America and Europe are WEIRD: Western, educated, industrialized, rich, and democratic (36). Westerners, in general, think in abstractions and propositions, no longer work the land or live by agrarian rhythms, have the resources to easily meet our basic needs, and emphasize personal freedom. The things that make life easier for Westerners sometimes disadvantage us when it comes to understanding the Bible. This analysis helps us appreciate how our culture, education, and relative prosperity create a gulf between our experiences and what the biblical writers were experiencing, referencing, and ultimately saying. The things that make life easier for Westerners sometimes disadvantage us when it comes to understanding the Bible. Baker Books (2018). 288 pp. $21.99. Vast treasures await us when we read the Scriptures as a native, through the eyes of one of Jesus’s first-century Jewish disciples. Combining careful research with engaging prose, Lois Tverberg acts as a master guide, transporting us across the cultural divide between our world and that of the Bible. As we begin to understand “how the Bible thinks,” our own thinking will be transformed as well, and we will be able to approach God and the stories and teaching of Scripture with fresh insight. Part 2 challenges us to consider distinctives of the biblical worldview that are often lost on us: the importance of genealogies, communal identity, and the sense of humanity’s “smallness,” to name a few. One reason Western thinkers don’t grasp these concepts immediately is we’re more comfortable with conceptual and analytical thinking. The Bible, including the New Testament, is grounded in concrete Hebraic thought. That’s why some of us have a hard time reading proverbs, parables, poetry, and genealogies, and would rather skip to the narrative and epistles. This is a comfort judgment and shouldn’t be a value judgment—it’s a mistake to assume the Pauline writings are the most sophisticated part of the Bible or that Jesus and Solomon are intellectually inferior. In the final part, Tverberg uses the Emmaus Road encounter (Luke 24:26–27) to understand how to see Jesus in the Old Testament. Jesus declares that the Jewish Scriptures teach about his coming, suffering, and resurrection. A Western reader looks for clear one-to-one correlation and comes up confused. But Tverberg masterfully demonstrates that thinking “Jewishly” about these passages makes it possible to see how Jesus’s claim can be true. The key to understanding the Bible isn’t to try to recreate an ancient Jewish worldview in our 21st-century world, but rather to immerse ourselves in the Bible. Understanding how Jesus and his contemporaries read the Bible helps us see how bold Jesus’s messianic claims are: “We don’t find Jesus blurting out in so many words, ‘I’m the Messiah!’ Rather, we find him making indirect claims by referring to himself in light of well-known messianic passages from the Scriptures” (224). Jesus’s claim to bring the Jubilee in Luke 4, calling God “my Father,” referring to himself as “the Son of Man,” and claiming to “seek and save the lost” in Luke 19:10 would’ve been subtle but jarring claims to ancient Jewish listeners who would’ve recognized these echoes of Scriptures referring to the Messiah or even God himself. 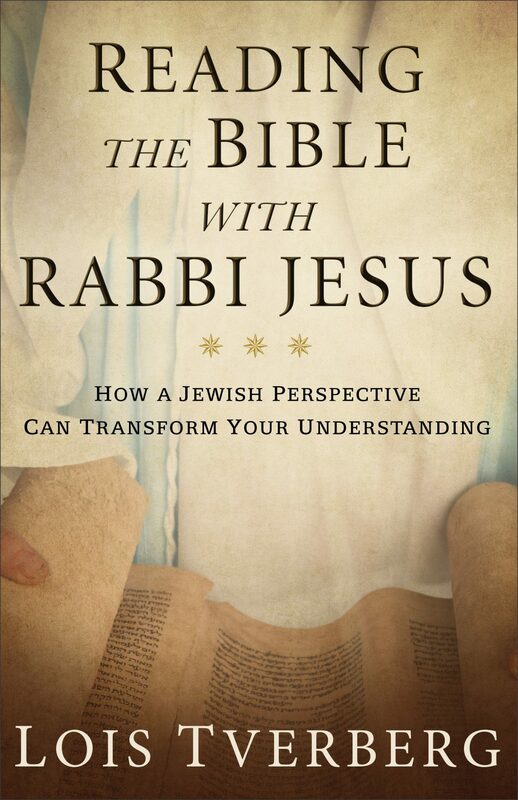 Reading the Bible with Rabbi Jesus is a helpful introduction for reading the Bible from a Jewish perspective. Tverberg is an engaging teacher and has a knack for presenting complicated ideas in an accessible and applicable way. She also encourages Christians to emulate first-century readers of the Bible who were immersed in the text. They were able to see the Bible as its own best interpreter, not because of superior study, but because of an intimacy with God’s Word that’s largely unparalleled today. The key to understanding the Bible isn’t to try to recreate an ancient Jewish worldview in our 21st-century world, but rather to immerse ourselves in the Bible, understand what it means in its original context, and let the Holy Spirit reveal how that meaning applies to us today. Sam Rood grew up in a Jewish-Christian family. He and his wife, Rebekah, live in Brooklyn and serve as missionaries in the New York City branch of Jews for Jesus. Sam received his theological training at Biola University.